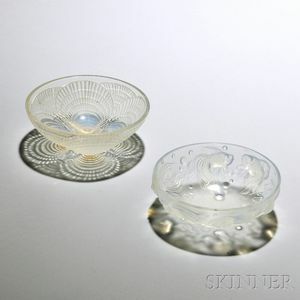 Two Lalique Art Glass Bowls, France, 20th century, a clear, shallow bowl, "Coquilles" pattern, molded with overlapping scallop shells, mold created 1924, incised "R. Lalique France No. 2304," dia. 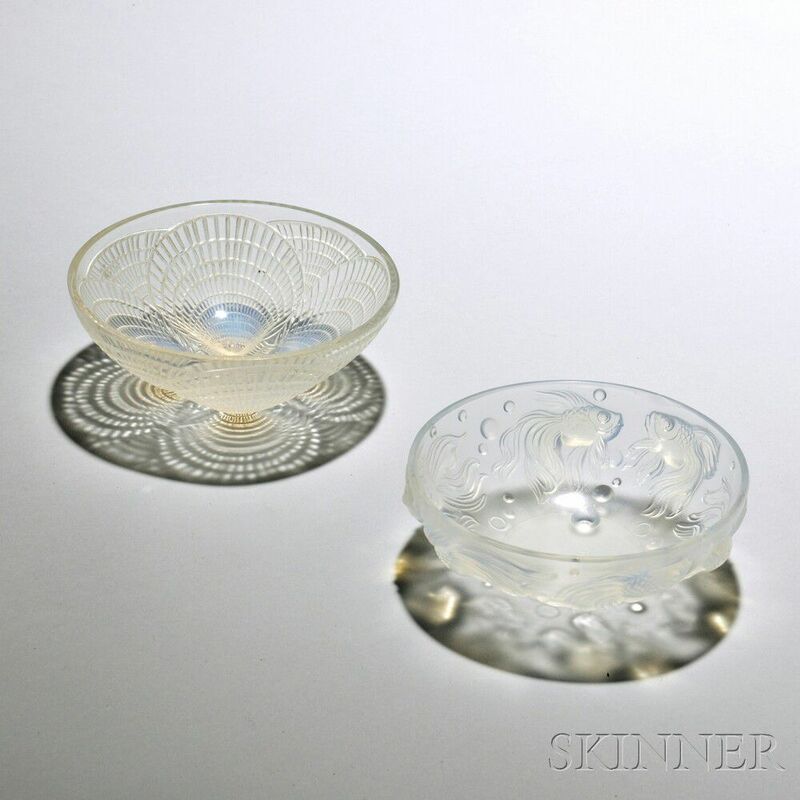 5 1/8; the other in molded frosted glass depicting goldfish and bubbles, molded marked "Lalique," (rim chip), dia. 4 3/4 in. Goldfish bowl with rim chip.